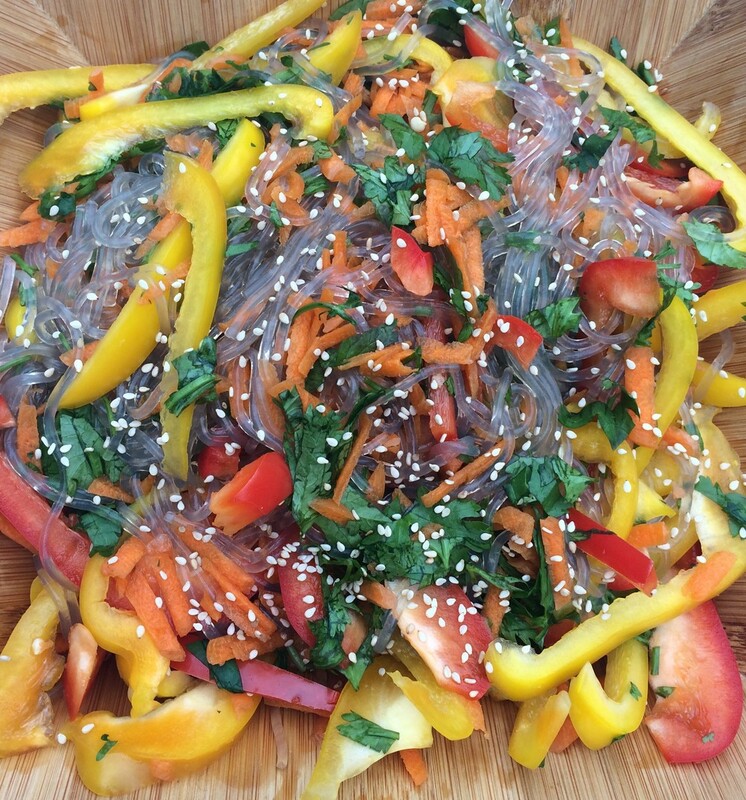 My love affair with sweet potato (japchae) Korean noodles started fairly recently. They are beautiful, forgiving in cook time, taste great served hot, warm or cold. This recipe is included in a gift basket we are donating to YWCA's Stella Steps Out charity bash's silent auction next week. Excited for that lucky, lucky winner. Combine all ingredients, mix well, and garnish with sesame seeds. Can be made up to one day ahead. Enjoy! I heart sticky rice. It is delicious, easy to make in small batches, and tastes great reheated. This weekend I made a simple version with shallot oil, shitake mushrooms from the farmers market and ground pork. It was eaten instantaneously. 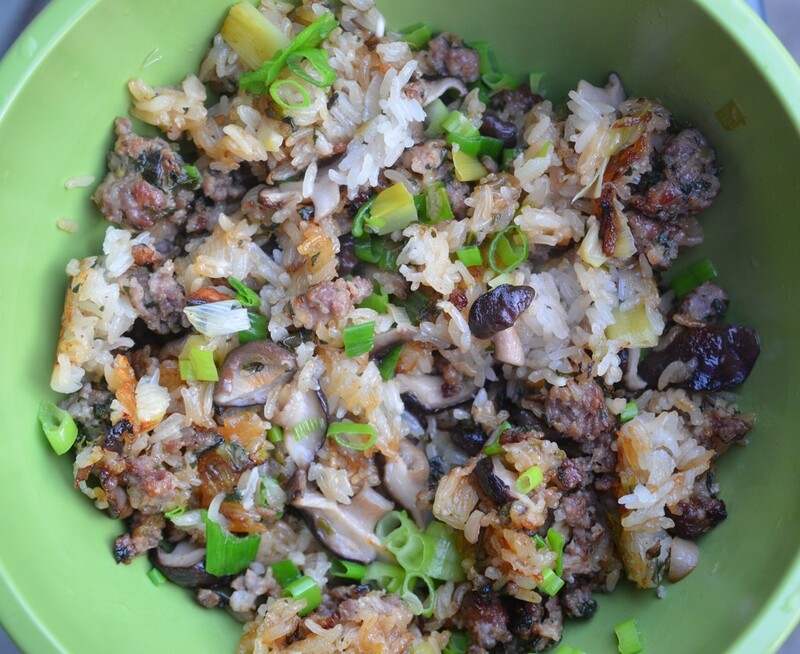 Carefully spoon pre-soaked rice evenly over your layer of pork and mushrooms. Pour water into pan, which should just be visible (and sizzling) on the side/corners of pan. Sprinkle with salt and pepper, cover, turn heat down to low and let simmer for 25 minutes or until rice is completely cooked and all water has been absorbed by the sticky rice. Feel free to check the rice after 15 minutes to make sure bottom of rice is not burning and to mix evenly. Add remaining green onion (diced green stalks), mix well, and serve. Makes a great side dish that can be prepared beforehand and warmed before serving. We had a Wei Kitchen retreat on the Olympic Peninsula this past weekend filled with brainstorming, tide pool browsing breaks, and, most importantly, test kitchen recipes with a wonderful group of friends. The best recipe of the weekend was the fried shallot and fresh corn salad, envisioned and executed by our imaginative friend Helen. The Shallot Fries really shined with the sweet corn, cilantro, and lime combo. Happy summertime salad! Thanks to all the great family, friends, and friends of friends who came out to our first tasting at our gracious host Aditi's house warming. Over 70 people came to sample food highlighting shallot oil and fried shallots, vote on label designs, and test our new vinaigrette recipes. Thanks so much to everyone who voted - your opinion counts as we develop our look and brand! Now, for results. What happens when a Berkeley and MIT grad begins a food start-up? The short answer is: graphs. The slightly longer but still truncated answer is below. Thanks again to everyone who came out to the tasting! If you are interested in attending the next one please email debbie@weikitchen.com. PS. While this analysis only reflects the top picks (people numbered their top three pics in the survey), we found that considering all three choices, weighted by order, brought the same results. Want to join the tasting? Email debbie@weikitchen.com for details. Wei Kitchen is open for business! As of today, Wei Kitchen is officially open for business! While we get our online store set up, feel free to email us directly about purchasing our Shallot Oil now available for sale. Our site is currently under construction. Come back soon for details on upcoming products!